Taking first place honors in the 2006 All-Ireland competition, these fourteen delightful and talented 10-19 year old Irish youngsters present a lively variety of Gaelic songs, folk music and step dances. This is BCB’s second tour with us. The group, under the direction of master teacher and musician Denis Liddy, weaves a rich musical spell that transports young audiences to the ancient green hills of Western Ireland. At each performance, the Irish kids invite audience members to sing and dance with them – an offer few can resist. The band will be performing and giving workshops many area schools (17 venues in all). 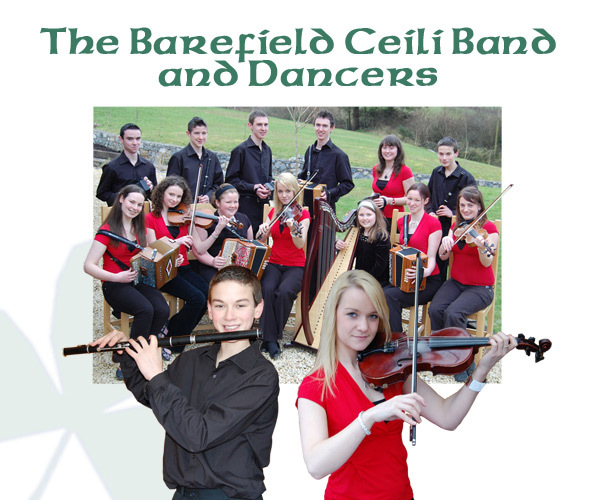 Bring your whole family to see, hear and feel the spirit of Celtic Ireland come to life by these current “All Ireland” champion musicians and dancers from County Clare.